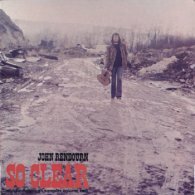 John Renbourn is essentially a miniaturist. Whether he takes his inspiration from the Delta Blues or from the Fitzwilliam Virginal Book, everything is crystallized into a microcosm as charming as a snowstorm in a paperweight. Renbourn is a model of equanimity who avoids manifesting any kind of emotion,. His cultural involvement is just one reason for thinking that he might have lived in the sixteenth century. Instead his use of volume and his electric guitar work provided an etymological meaning to the term 'folk-blues' in the mid-sixties, and gave some purpose to the young folk club guitarists whose tender roots had not penetrated down as far as Broonzy, Blind Boy Fuller or Blind Lemon Jefferson.